Take your snorkeling to new depths on one breath by learning the fundamentals of freediving. Not only does freediving allow you to experience the underwater world in a bubble-less environment - it also can allow you to explore depths hard to reach by scuba. Whether you are just getting your fins wet in the sport, or are more serious about reaching deeper depths, we will have the course for you. We have certified instructors on staff to teach freediving all the way up to instructor level certifications. Our SSI Freediver Pool certification is your chance to get wet and experience what freediving is all about. When you sign up for Freediving Level 1 Class and Pool, you will start in the classroom and then attend two pool sessions. Once you complete the below minimum requirements, you will be certified as a Freediving Pool Diver. 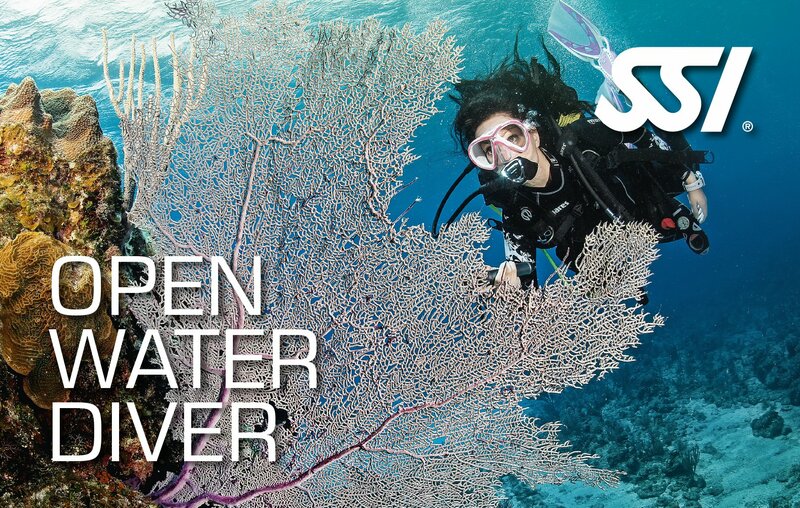 Online Course: You will start your SSI Freediving adventure online. 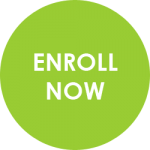 Once you enroll for, and pay for, our Level 1 Class and Pool course, you will be issued online materials, which we request be complete before you come in for your first session. You will read, watch videos, and answer quiz questions as you complete each section of the homework. Level 1 Seminar: During your three-hour classroom session, you will learn about freediving equipment, safety, skills, and physiology. You will also learn how far you may want to go with your freediving career! Pool Sessions: Our Level 1 Class and Pool includes two pool sessions, where you will learn the basic kicking styles for freediving, how to safely execute the different pool disciplines, proper safety techniques, proper headfirst dive/duck dive techniques, and proper breath control. Our Freediving Level 1 Class and Pool tuition includes two FREE Training Techniques Pool Sessions, so don't miss out! Once you complete your Freediving Pool Certification, it is time to take your skills to the open water! 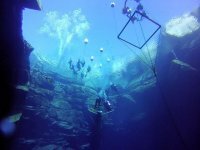 We conduct open water sessions at the Blue Hole in Santa Rosa, New Mexico and can also help you set up dives on many of our upcoming group trips. During your open water sessions, you will learn proper breathing techniques, familiarize yourself with diaphragm breathing and take a deep breath like you never have before. You will develop the skills necessary to train your body to be more efficient, gain better respiration and muscle flexibility, and learn new skills to feel comfortable and confident about traveling to depth. Freediving Pool Certification or equivalent: Before we can take you to the open water, you must complete the above certification in a confined water environment. 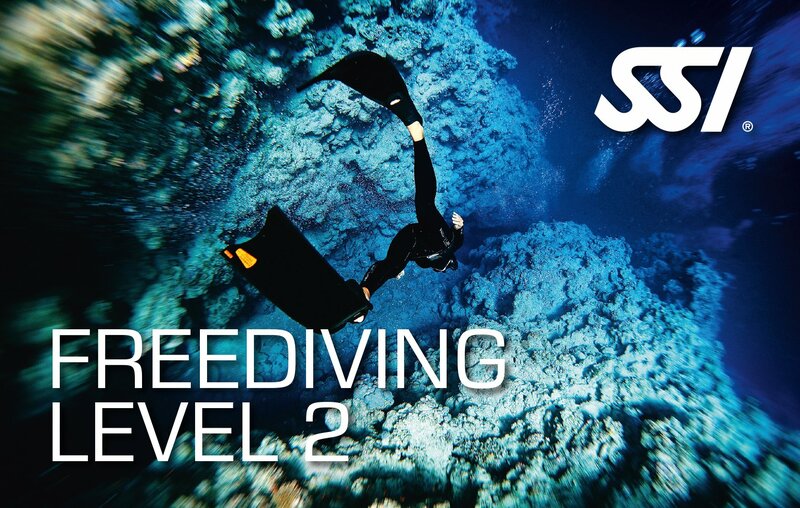 Take your freediving to the next level with our Freediving Level 2 course! You will learn advanced equalization techniques, breath-hold training and stretching techniques, and how to properly execute a deeper dive using the "freefall" technique and proper weighting. Class and pool will be conducted at Denver Divers over the course of two sessions. In order to become a fully certified Level 2 Freediver, you will need to complete three open water dive sessions either at the Blue Hole in Santa Rosa, New Mexico, or on one of our many upcoming group trips! 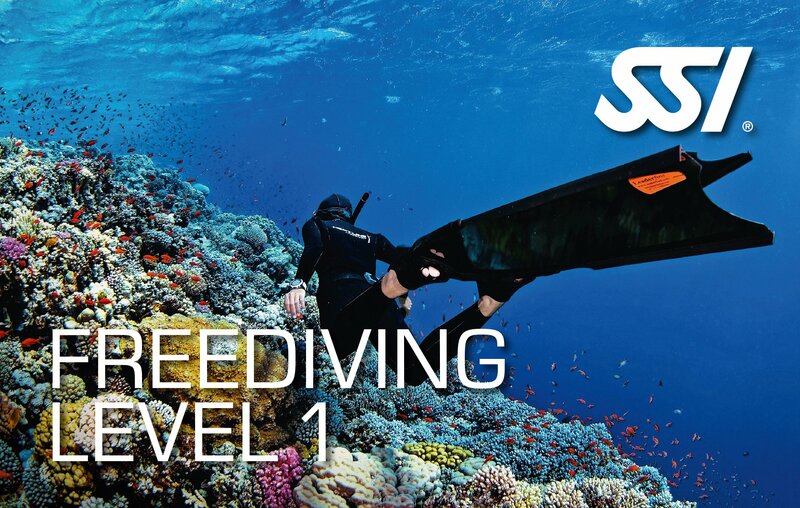 Freediving Level 1 Certification or equivalent: Before you can take the Level 2 course, we require a minimum certification in Freediving Level 1 from SSI or an equivalent certification from a different agency. 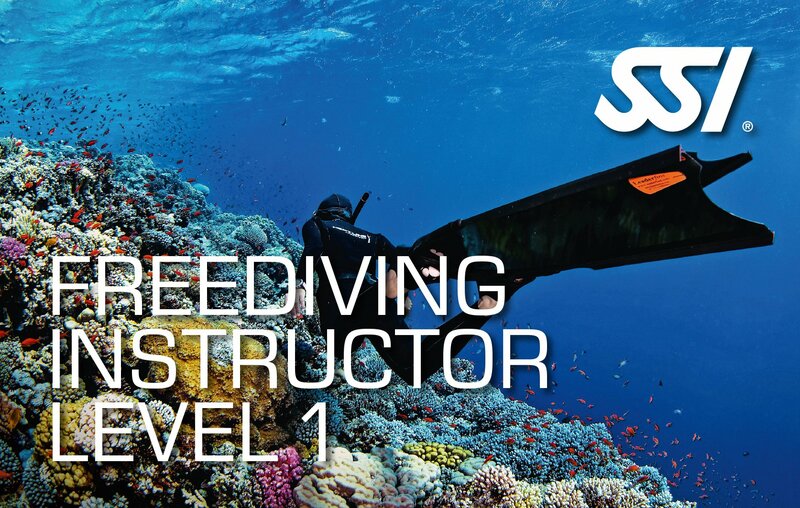 Online Course: Just as with the Freediving Level 1 Certification, you are required to complete academic material online for your Level 2 Course. Once you have signed up for the Level 2 course and paid, you will be issued online materials. We request you complete the homework before you come in for your first session. You will read, watch videos, and answer quiz questions as you complete each section of the homework. Level 2 Seminar: During your three-hour classroom session, you will learn advanced freediving skills and training techniques as well as review safety and the physiology of freediving. Let's face it, Colorado is a landlocked state, with few options to practice freediving to depth, but that does not stop our community of amazing freedivers from growing! We have developed a unique opportunity for all our freedivers to come practice their skills in our pool on a regular basis during our Training Techniques Pool Sessions. Instead of a more open and fluid pool session, we have decided to create specific sessions designed to help you improve your skills in a certain area or discipline. And if you attend three different pool sessions and the Training Techniques seminar, you will become certified in the Training Techniques Specialty program from SSI! You must have completed at least the Freediving Pool (Level 1 Class and Pool) Course to participate in our pool sessions. BUT, our Level 1 Class and Pool tuition includes two free pool sessions! Attend a Training Techniques Seminar: During this two hour course, we will go over stretching for freediving, training tables, and ways to improve your freediving when water is not available. Attend at least three different Training Techniques pool sessions: We have developed a variety of different types of pool sessions. If you attend three different sessions, you will receive your specialty certification! Static Apnea: Learn mindfulness and meditation relaxing techniques to improve your breath-hold time. You will also learn how to increase your carbon dioxide tolerance during our static sessions. Dynamic Training: Train with our instructors on dynamic tables, including standard tables, pyarmid tables, and timed tables. Don't worry - they are actually very fun! Dynamic Personal Best Session: Work on the different disciplines in dynamic apnea and increase your distance dramatically. Streamlining and weighting techniques will be the focus. Pool Depth Practice: Get ready for your open water sessions by practicing your duck dive, streamlining techniques, clearing techniques, and training table simulations. This is best for those who are getting ready for open water diving. Freediving aka Apnea aka Skin Diving aka breath-hold diving is a form of underwater exploration that does not use the assistance of a breathing apparatus such as scuba gear. There are many disciplines within the sport, with constant weight diving being the most popular. Dynamic Apnea (DYN): Swimming horizontally underwater striving for a distance goal. Dynamic No-Fins Apnea (DNF): Swimming horizontally underwater without the aid of fins striving for a distance goal. Static Apnea (STA): Holding your breath while floating head down in water striving for a time goal. Constant Weight Apnea (CWT): Swimming vertically to depth and back underwater striving for a depth goal. Constant Weight No-Fins Apnea (CWT): Swimming vertically to depth and back underwater without the aid of fins striving for a depth goal. Free Immersion (FIM): Diving vertically to depth and back underwater by pulling yourself down a line and striving for a depth goal. Variable Weight Apnea (VWT): Diving vertically to depth with the use of weight, then swimming back up or using a line and pulling yourself to the surface. Again, the goal is depth. The short answer to this question is everywhere there is water! But, in Colorado we are limited in the places we can find water deep and safe enough to truly practice freediving, so we travel to gain these depths and find fun places to practice our sport. 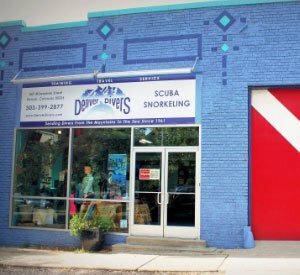 At Denver Divers we primarily carry Mares and Seac freediving equipment, but can order almost any product you seek, and are continually looking for the best in the industry to carry at our store. If you enjoy the underwater world and want to spend more time at depth without having to come to the surface for a breath, then scuba may be a perfect sport to add to your resume.